Discussion in 'Micro 4/3 News and Rumors' started by sigamy, Sep 11, 2014. I'm still a little skeptical about this EM1 4K firmware update rumor, but if true it would be absolutely brilliant. Not that I'll be shootin in 4K, I'd be thrilled to have really good quality 1080. The big thing as far as I'm concerned is having full manual control whilst shooting video...basically, if this firmware were to bring the EM1 video up to atleast GX7 video quality I'll be thrilled. Really good 1080 with manual control is all I need. Edit: I do wonder if it will be a firmware update or whether Olympus will be offering 2 E-M1 models. I suspect there are two firmware streams, one going to videographers and the other going to photogs. We often do this sort of thing in testing. I'll be pleasantly surprised if this actually makes it to production cameras. Is there some rule somewhere that even photography sites or photographers have to use a blurrycam to take photos of impending products etc? Yes. It's the same with mystical animals like Sasquatch, Aliens, and the Loch Ness Monster. I think basically anything mythical must be blurry and out of focus. Better contact them about this one Ray. Egregious behavior like this can't be ignored! It was probably taken as part of a selfie and so was out of focus. As owner of EM1, this would help me save lots of money by eliminating the need to have GH4 for video! Maybe. But when hurriedly taking it with a phone without being noticed, rules get broken. Can't wait till next week to find out what the upgrade will actually give us. Fingers crossed x x. Are you sure that it's not a crop of the camera taken from a selfie? At least yours look similar. Typical of having the phone too close & trying to sneak that photo without being caught. That was the best focus I could get, moving it away didn't help, nor did moving it closer. But then I don't have a wiz bang mobile phone, it's purely for making phone calls. I hope the announcement is delayed a few days just to see how many tangents we can find until we get some more news. I hope this 4k update rumour is true. I've never believed the "know-it-all-experts" telling (more like preaching) that it's impossible to add such thing via a firmware update. 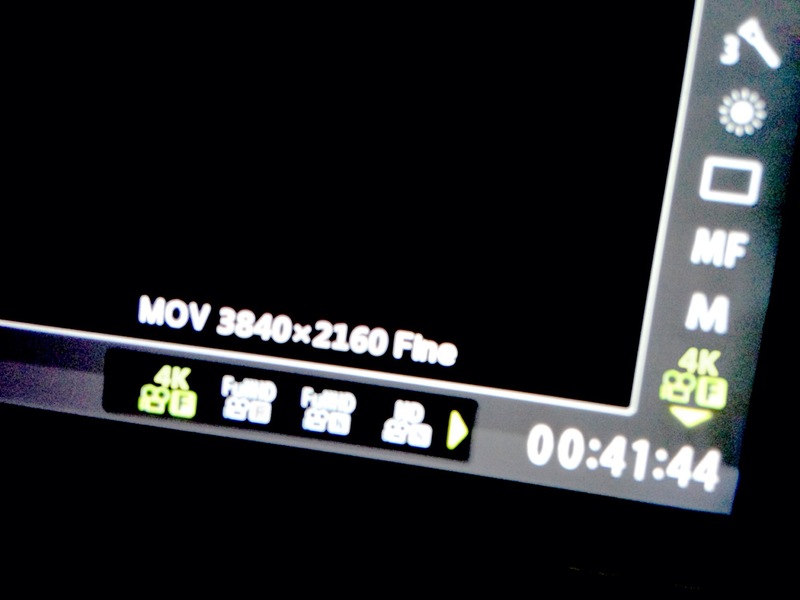 If the E-M1 got 4k then it would be 100% sure E-M5mk2 will have it too.